Mexican Dulces Vero Elotes strawberry flavor covered with EXTRA HOT chilli lollipops. Delicious and tasty lollipops with chili. 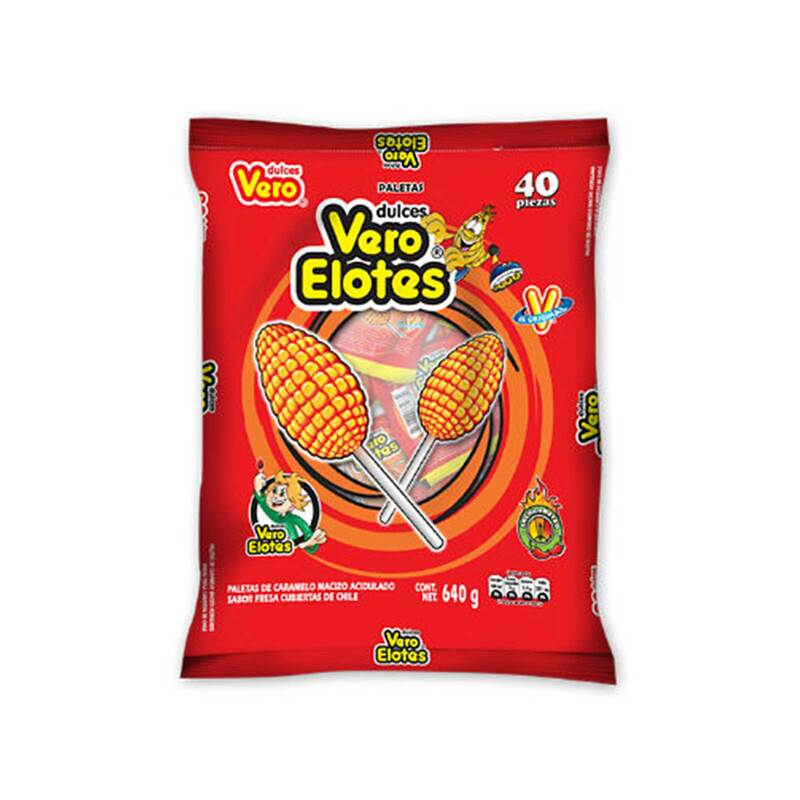 Order VERO ELOTES 40 CT in bulk at wholesale price at Volt Candy Online.